As the poem goes, all the stocking are hung by the chimney with great care in hopes that St. Nicholas will soon be there. 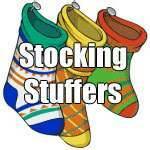 While everyone hopes that St. Nick will fill their stocking, sometimes it is left up to us. When thinking of fun stocking stuffers, the sky is the limit. Traditionally these are small gifts that often can bring a great smile to the recipients face. This is a great opportunity to give some practical items that may not be ideal as a main Christmas gift, or choose gifts that are fun or whimsical in nature. Who knows, you may even spot St. Nick! Help get your prince charming mistletoe-kiss ready with BIC® Flex 4™. With the Holiday season officially launched, BIC is ready to help guys put their best face forward so that they can get up close and personal with the ones they love. BIC® Flex4® disposable razors are the perfect addition to any male stocking, offering a quality shave for under $10. 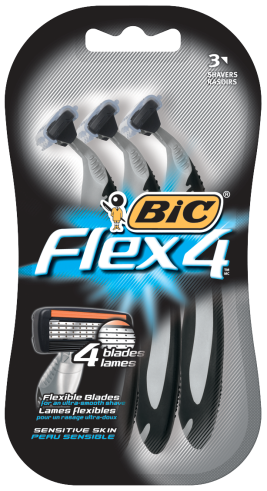 The BIC® Flex4® disposable shaver features four flexible blades that individually adjust to your skin for an ultra-smooth shave with a lubricating strip with aloe and vitamin E for a smooth glide. For more information, please visit: www.bicworld.com. Whether you need power for your or another little ones toys, Duracell - the # 1 trusted battery among parents in Canada - has engineered all of their batteries with DuraLock, a new technology which preserves power for up to 10 years in storage. Just in time for the holidays, it is guaranteed power when you or your loved ones need it. Need to make a quick call to double check a wish-list? There is nothing worse than getting halfway through the day and seeing your cell phone or Ipod is running on empty. 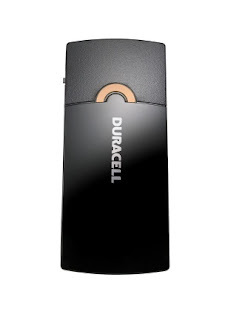 Luckily, the Duracell Instant Charger is a handy portable power solution that allows you and your loved ones to charge their new USB-powered devices on the go. Small and light, it can charge many gadgets and is great to keep in your purse or pocket. Suggested retail price is $44.99. Click here for more information. eyeSlices® are innovative eye treatment pads that combine the natural essence of nature with bio-innovation to bring about an all-in-one solution to all common eye concerns. Seen on Dragon's Den, I wanted to try these for myself and can honestly say they lifted my eyes and I felt refreshed instantly. The perfect stocking stuffer or gift for yourself, to relax, restore and revive. Each package contains one set of re-usable cooling eye gels, good for 10 x 5 minute treatments.